The Spectre and Meltdown vulnerabilities made quite a splash earlier this year, forcing makers of hardware and software to release updates in order to tackle them. There are several ways to fix the issues, including software, firmware, and hardware updates. 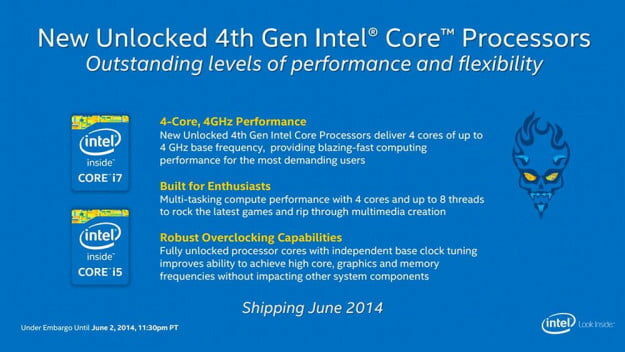 Each generation of product is slowly implementing fixes, including some of the new 9th Generation processors. The new 9th Generation processors, listed as CFL-R (Coffee Lake Refresh), has implemented hardware fixes for variant 3, Rogue Data Cache Load, and variant 5, L1 Terminal Fault. Because the new chips have required new masks for manufacturing, Intel has been able to make these changes. The goal of moving the changes into hardware means that the hardware is always protected, regardless of OS or environment, and with the hope that any additional overhead created by a software fix can be lessened if done in hardware. 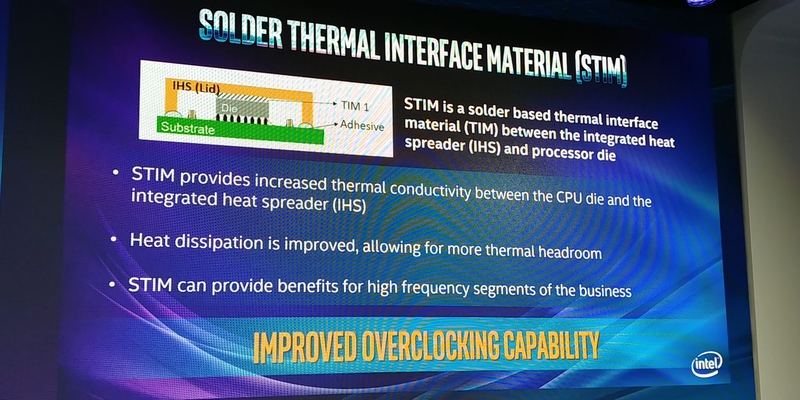 Intel has officially confirmed that new 9th generation processors will feature a layer of solder making up the TIM between the die and the IHS. 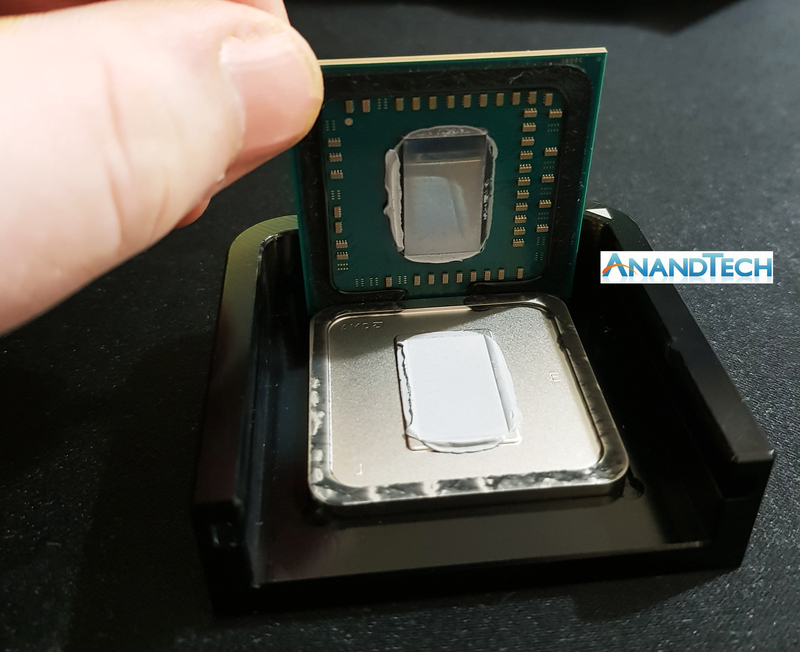 The new processors with solder include the Core i9-9900K, the Core i7-9700K and Core i5-9600K. As we’ll show in this review, the combination of STIM plus other features are of great assistance when pushing the new processors to the overclocking limits. Intel’s own overclocking team at the launch event hit 6.9 GHz temporarily using exotic sub-zero coolants such as liquid nitrogen. One of the worst kept secrets this year has been Intel’s Z390 chipset. 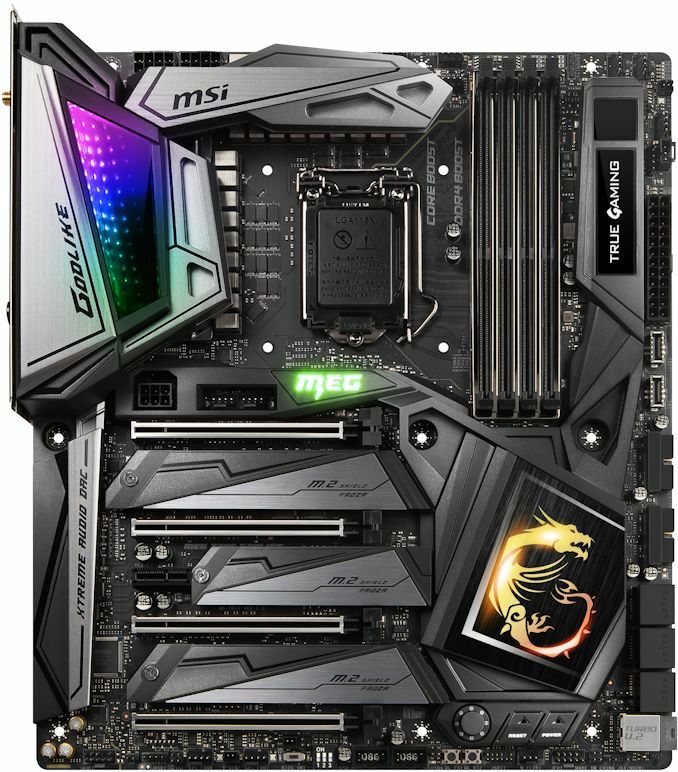 If you believe everything the motherboard manufacturers have told me, most of them had been ready for this release for several months, hence why seeing around 55 new motherboards hit the market this month and into next. The Z390 chipset is an update to Z370, and both types of motherboards will support 8000-series and 9000-series processors (Z370 will need a BIOS update). The updates are similar to the updates seen with B360: native USB 3.1 10 Gbps ports, and integrated Wi-Fi on the chipset. The integrated Wi-Fi uses CNVi, which allows the motherboard manufacturer to use one of Intel’s three companion RF modules as a PHY, rather than using a potentially more expensive MAC+PHY combo from a different vendor (such as Broadcom). I have been told that the cost of implementing a CRF adds about $15 to the retail price of the board, so we are likely to see some vendors experiment with mid-price models with-and-without Wi-Fi using this method. For the USB 3.1 Gen 2 ports, Type-A ports are supported natively and motherboard manufacturers will have to use re-driver chips to support Type-C reversibility. These come at extra cost, as one might expect. It will be interesting to see how manufacturers mix and match the Gen 2, Gen 1, and USB 2.0 ports on the rear panels, now they have a choice. I suspect it will come down to signal integrity on the traces on the motherboard. For the Z390 chipset and motherboards, we have our usual every-board-overview post, covering every model the manufacturers would tell us about. Interestingly there is going to be a mini-ITX with Thunderbolt 3, and one board with a PLX chip! 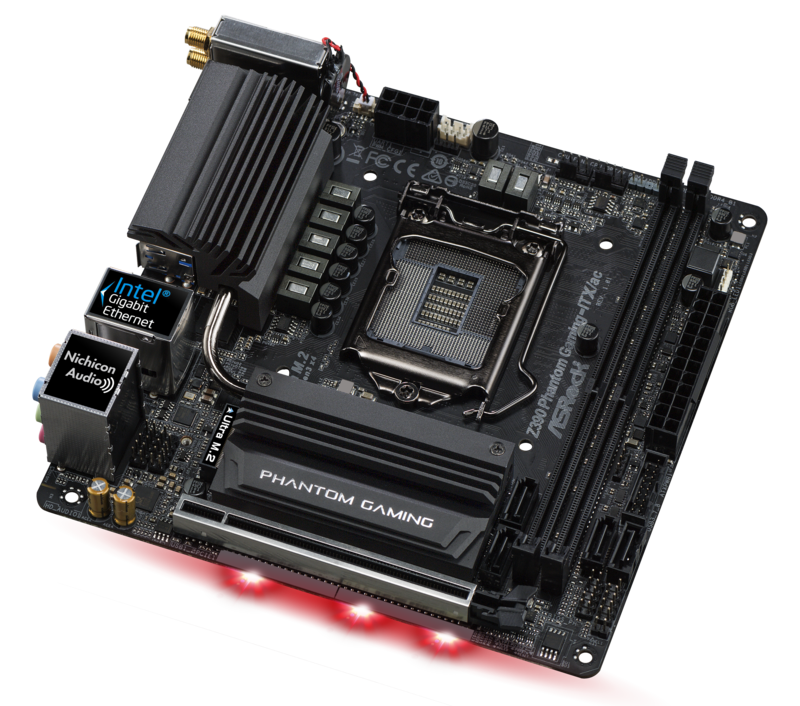 There are also some motherboards with Realtek’s 2.5G Ethernet controller – now if only we also had consumer grade switches. For once, we're going to do the first comment! My take on your data: worth it if you have something a lot faster than a GTX 1080 since it looks GPU-bound for most of the gaming benchmarks at med-high resolutions. 2080Ti users and SLI users will probably get the most out of it from a gaming perspective. Ian, how can you claim 9900k is the best when you never tested the HEDT parts in gaming? Making such claims really makes anandtech look bad because it sounds like a sales pitch and you omitted that entire HEDT platform from the results. I hope you fix this oversight so skyX can be compared properly to 9900K and the upcoming skyX refresh parts! And of course, AMD HEDT parts. There was supposed to be a part2 to the i9-7980XE review and it never happened, so gaming benchmarks were never done, and i9-7940X and i9-7920X weren't tested either. HEDT is a gaming platform since it has no ECC support and isn't marketed as a workstation platform. "Ian, how can you claim 9900k is the best when you never tested the HEDT parts in gaming?"